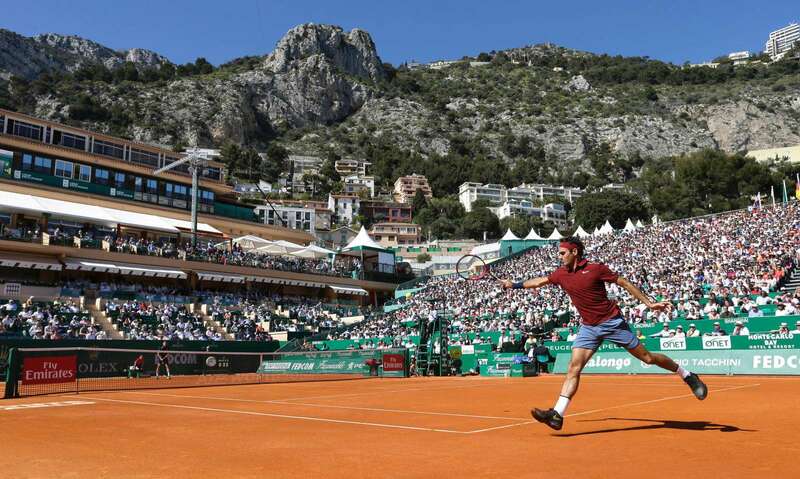 Roger Federer made a flawless comeback after two and a half months away, as the Swiss advanced over Guillermo Garcia-Lopez 6-3, 6-4 on Tuesday to power into the third round of the Monte Carlo Rolex Masters. Beating Garcia-Lopez in the second round is nothing special for a 17-time Grand Slam champion with 88 career titles. But it was more about relief than anything else for Federer, who had arthroscopic surgery on February 3 for torn cartilage in his left knee. Federer had been due to make his comeback from knee surgery at the Miami Open, but was forced to withdraw from the event at short notice due to a stomach virus. "The knee felt really good, like in practice. Felt like I didn't have to worry about it. I could just go freely," Federer said. "I think in a way it was a perfect match. It was close in the beginning, then I was able to go on a roll. Points were cut short by virtue of me serving better and returning better, getting second serves, taking advantage of that fact. At the end, again, I had to fight for it. I went through different phases in the match. Also emotionally, I was excited and tense in the beginning, just because it's a first round. It's my first match back. So it was nice to go through all these emotions." The 34-year-old Federer is a four-time finalist at the Monte Carlo Country Club, finishing runner-up from 2006-08 (l. to Nadal) and again in 2014 (l. to Wawrinka). The Swiss is chasing his 25th ATP World Tour Masters 1000 crown. "I think I got what I needed. So we'll see how I feel tomorrow, tonight, the next day," Federer said. "Sometimes after a match, you can feel it for two days. At this point I'm pretty confident I'll feel fine." Federer was gifted the first break of the match in game six when Garcia-Lopez followed up two double faults with a loose backhand that floated long. The third seed threatened to give up the initiative when falling 15-40 down in the next game, but saved both break points - the second with a sweetly struck backhand winner - before holding with an ace. An increasingly attacking Federer served out the opening set with the minimum of fuss and there was to be no way back for Garcia-Lopez, who cut a frustrated figure as his hopes of victory rapidly disappeared. Having been dominated throughout set two, the Spaniard surprisingly broke to love when his rival first attempted to serve out the match. However, Federer got the job done in his next service game to set up a third-round tie with Roberto Bautista Agut.